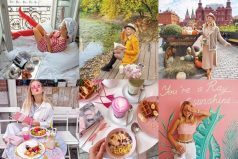 You already to know that in this column, we like to share with you, not only fashion or beauty Instagram accounts, but all kinds of accounts that catch our attention. 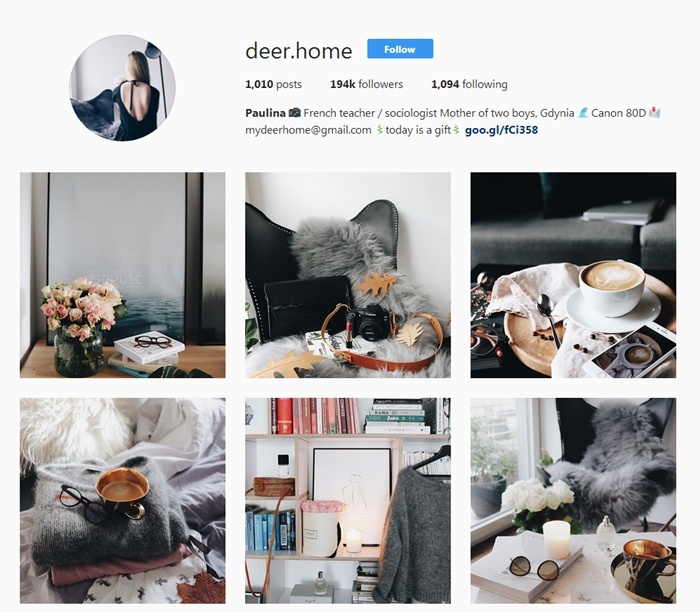 So today, we’ll share an account that I personally love, @deer.home. 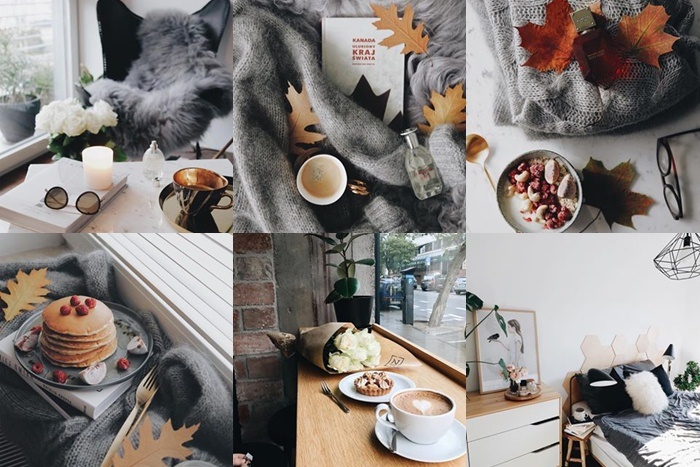 As you can understand, Paulina, the girl behind the account, shares beautiful photos of her house on her account, with products and things styled in such way that looks absolutely amazing. 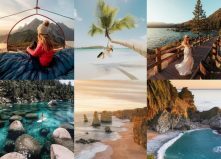 I find her account very inspirational; it makes me want to create better photos for my own account. She plays a lot with grey, different fabrics, and items, and makes her photos very interesting and artistic. 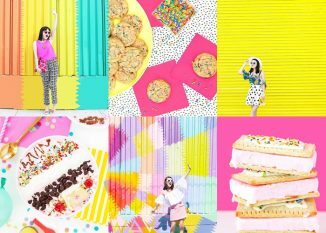 Take a look at the photos we decided to showcase today, and you’ll get the point. If you like what you see here, make sure to check her out, and follow her! You won’t regret it!